At the MSJDN Annual Reception on May 6th, Lieutenant General Flora Darpino will accept the 2015 MSJDN Homefront to Hired Award on behalf of the Army’s Office of The Judge Advocate General (OTJAG). This award recognizes law firms and organizations that have demonstrated extraordinary commitment to hiring military spouse attorneys. Thanks to the support and vision of OTJAG, over 30 military spouses have been matched with job opportunities. This impactful support has made a meaningful difference for the careers and the families of these military spouse attorneys. The Army recognizes that employing qualified military spouses is good policy. Programs supporting professional military spouses foster force readiness and retention. 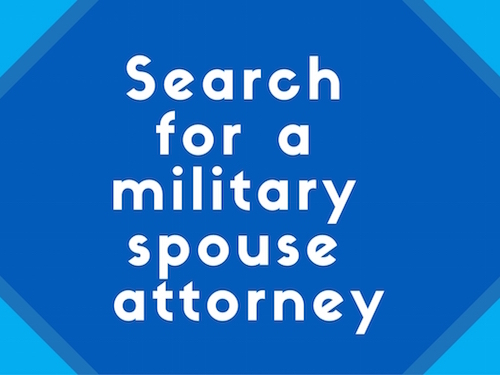 In addition to the Department of Defense’s Military Spouse Preference program, which confers a hiring advantage to those attorney spouses determined to be among the best qualified for competitively announced positions, the Army JAG Corps has instituted a procedure to consider eligible spouses for non-competitive attorney appointments. A database of eligible attorney spouses is maintained for referral to hiring officials. Through the database and the hard work of OTJAG employee Ashley Ludovicy-Donahue (also a MSJDN member), the Department of the Army has offered positions to approximately 35 spouses over the last two years, most of whom have accepted. OTJAG was also nominated for the MSJDN Members’ Choice Award (see all of the nominees here), further demonstrating their support for military spouse attorneys. 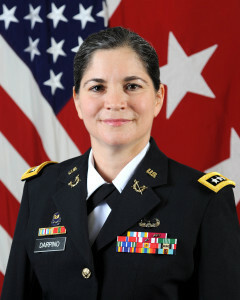 LTG Flora Darpino will attend the MSJDN Annual Reception to accept the Homefront to Hired Award. The senior legal advisor for the Army and a military spouse attorney herself, LTG Darpino’s career and success was previously profiled by MSJDN. Earlier this year, we were also honored to announce that she is one of this year’s distinguished recipients of the Margaret Brent Women Lawyers of Achievement Award, which will be presented at the American Bar Association’s Annual Meeting in Chicago this August. MSJDN is extremely grateful for the support that OTJAG has shown for military spouse attorneys and our mission to remove barriers to employment for these attorneys. We are thrilled to present the Homefront to Hired Award to OTJAG as a measure of our appreciation and look forward to continuing the partnership in support of military spouses and their families. Please join us for the Annual Reception at the historic Army Navy Club on May 6th for the presentation of the Homefront to Hired Award, along with the other 2015 MSJDN awards. It promises to be a fabulous evening of celebration and networking in support of military spouses in the legal profession. Tickets and more information are available at msjdn2015.eventbrite.com.